The layout below shows the betting spots and payouts of the main game, and the pay table of the optional, independent Same Suit Bonus. The game is played with a standard 52-card deck, where each player and the dealer receives three hole cards and shares a four-card community board to make their best-of-seven flush hand. 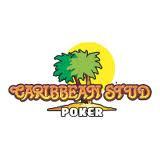 Each Player and the Dealer forms the highest flush made from their three hole cards and the four card community board. The Dealer qualifies with a 3-card Nine-high flush or better. If the Dealer doesn’t qualify, the remaining Antes are pushed back to the Player. The qualified Antes and the All-In bet then receive even-money action against the Dealer hand. The Player must beat the Dealer to receive the X-Tra Bonus payout listed in the pay table. If the Dealer’s hand beats the Player’s hand, the X-Tra Bonus loses. All bets push on a tie. The house advantage for the main Chase-the-Flush game is only 2.65% of an Ante. That’s very reasonable, and is comparable to the UTH house edge. The Basic Strategy yields a practical -2.99% return to the player. The Same Suit Bonus for the pay table in the above layout has a reasonable house edge of 5.67%. I crafted out as simple a Basic Strategy as possible, in terms of how people intuitively view their hands during the game. The following strategy shows the betting conditions for each of the 3x (pre-flop), 2x (flop), and 1x (river) decision points. Check your hand for any of the betting requirements listed per decision point. If your hand doesn’t match any of the listed conditions for the decision point, then you shouldn’t bet it. You can practice the game for free at the AGS website. For optimal play, you’ll 3x raise about 23.8% of your hands, bet 2x on the flop about 24.9% of the time, 1x call on the river about 35.2% of the time, and otherwise fold about 16.1% of the time. You should 3x Play any suited Ace. For example, Ac-2c-2d has a EV(3x) of +68.6% and an EV(check pre-flop) of +59.9%. So, it’s still worth +8.7% to 3x raise the hand instead of checking it. You should 3x any pair of Aces with a Four or better kicker. However, the hand is only +EV for A-A-6 or higher. You should 3x a suited King with a Six or higher singleton (i.e., the offsuit card). For example, Kd-9d-6c has a EV(3x) of +45.2% and an EV(check pre-flop) of +43.3%, showing it’s slightly better to 3x raise the hand than check it. You should 3x raise a rainbow hand if each of the ordered ranks are higher than, or equal to, A-Q-T. This means you should 3x A-Q-T, A-K-T, A-A-T, A-Q-J, etc. You should check A-J-T, A-K-6, A-J-J, etc. The Basic Strategy bets almost all 3-card flushes on the flop. The only exception is when the board is suited, and you’re using a hole card less than a Six to make the flush, AND you don’t have another 2-card flush. Otherwise, you’re betting all other 3-card flushes (or better). For example, say you’re holding Kh-7d-5c and the flop is Ac-2c. You shouldn’t bet your 3-card flush, because your 5c kicker is less than a Six. Notice however, if you were instead holding Kh-7h-5c, you’d 2x Play your 3-card club flush with Five kicker, because you also have a two card Kh-7h flush. You can 2x bet a 2-card “nut” flush when you have any another 2-card flush. For example, if you’re holding Ac-6d-5h and the flop is 5c 7d, you have the 2-card “nut” (i.e., highest possible) flush in clubs, along with another 2-card flush (7d-6d). You should 2x Play this hand, because one of your hole cards makes the “nut” 2-card flush with a board card, and your hand makes another 2-card flush. Note you shouldn’t bet your Ac-7d-6d hand with a board of 8c-Ah, because many single dealer heart cards (Nine or higher) beat your 2-card flush. 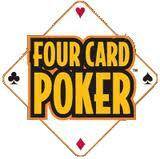 You can also bet two 2-card flushes that use both offsuit board cards with two hole cards averaging a Jack or higher. For example, you can 2x Play your Kh-Qs-2d when the board flops a heart and a spade. The Basic Strategy bets almost all 3-card flushes on the river. The only exception is when you’re playing a single small hole card to make your hand, and the board is double-suited. In most of these cases, there are 15 or more single dealer cards that’ll beat your hand. Otherwise, if the board is rainbow, you’ll always 1x Play any 3-card flush. If the board has only two cards of one suit, and you have any 3-card flush, there are always less than 15 single dealer cards that’ll beat your hand, so you’ll always 1x play any 3-card flush. If the board has a 3-card flush on board, you’ll 1x Play the board since Basic Strategy says to always call when there are less than 15 single dealer cards that’ll beat your hand (there are only 10 remaining cards of the flush suit). However, you can get a little fancy, and fold if the board singleton is higher than the 3-card flush AND you don’t hold any cards of the singleton suit. You can play a very high 2-card flush against a rainbow board if there are less than 10 single dealer cards that’ll beat your hand. This usually means you can play a very high 2-card flush using the highest board card if it’s not paired on board. For example, if the board is 9s-7h-6d-5c, you can 1x Play a Kh in the hole, since the only single dealer cards that will beat your Kh-7h is an As, Ks, Ah, Ad, Ac (5 of them). While straight flushes don’t have any meaning in the main game, they are included in the pay table (along with 4+ card regular flushes) in the optional Same Suit Bonus bet. The resulting payouts are very attractive, and add a nice dimension to the game. The breakdown of the 7-card hand outcomes is listed in the table below, and show a total house edge of 5.67% (good as far as bonuses go). The following table breaks down the total outcomes for the main Chase-the-Flush game, over all possible starting hands, using optimal decisions. The total return in the lower right corner shows a house edge of 2.65% of the Ante. Looks like a lot of fun. I’ll have to check it out sometime. Welcome back by the way!